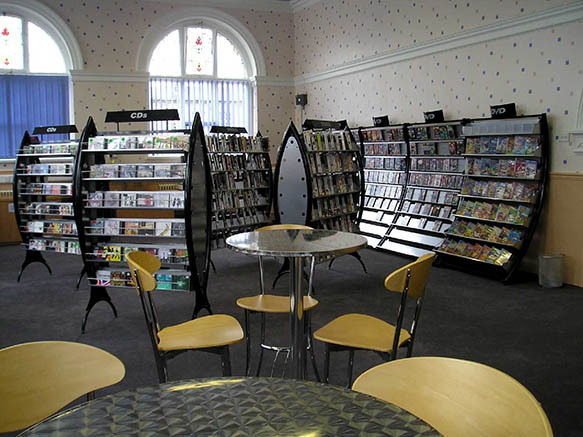 Batley Library is a Grade 2 listed building sitting within the Market Place Conservation area. It was opened to the public in 1907 and was funded by a donation from Andrew Carnegie. 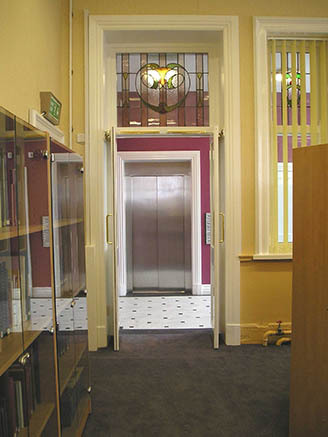 After many attempts to improve access to the first floor, approval for a lift was finally achieved in 2003 and building work started in September 2004. The extension housing the lift also contains disabled toilets on both the ground and first floors. 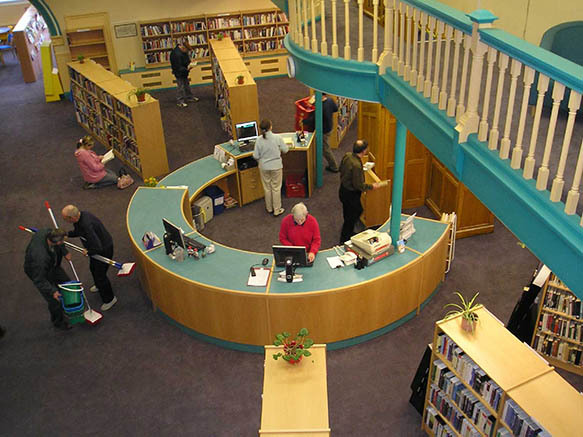 During the course of the refurbishment the opportunity was also taken to replace the heating system, redecorate the whole building, recarpet, provide new wooden shelving and furniture. A major change to the library has been a new circular counter located in the centre of the lending library. This has helped to open up the space and allows customers to enter the building in a more leisurely manner. A local company (AMA) has been used for the shelving units for the Sound and Vision and Teenage area giving this section a very modern look. 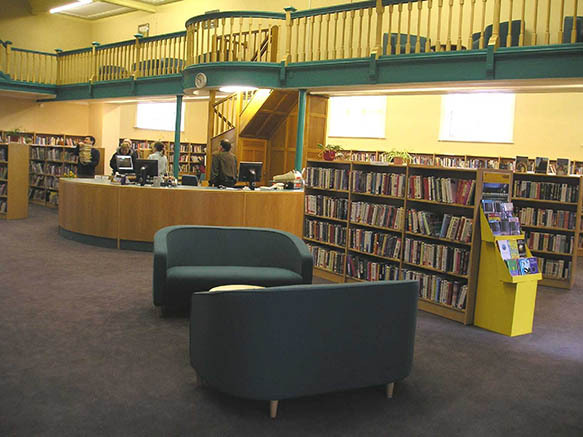 Following consultation with local children, the Children's Library is now very bright and light, has plenty of seating to suit all ages and has 2 computers for the children to use. 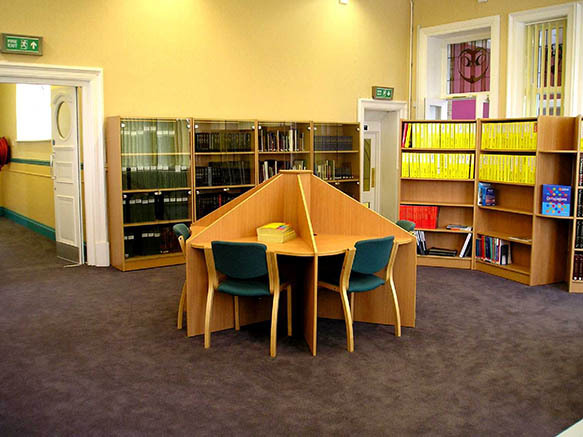 The Reference and Local Studies Library is lighter and brighter but still offers a quiet study area for those carrying out research or studying for exams.